Hello dear reader and welcome 2018. We wish you all happiness, success, smooth business operations and good health, and we hope your life is filled with love on the upcoming Valentine's Day. 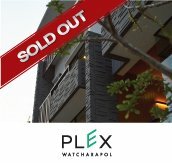 In addition to the progress of LAVIQ Sukhumvit 57, Ultimate E-Magazine by Real Asset for the first quarter of 2018 includes news and other interesting topics: room decoration techniques to welcome a great life, super cool shopping venues, organic lifestyles, how to choose an interior designer, and the most popular cycling routes in the city. 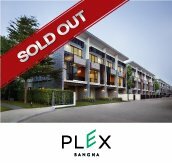 For more news and information, please check out www.realasset.co.th or Facebook: RealAssetDevelopment. 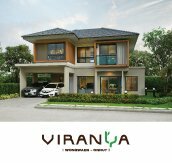 For any enquiries about the project, please contact us for a real-time response from our administrator through LINE@: @realasset (during office hours). 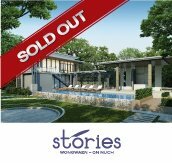 Real Asset and our friendly team are always here to assist you. 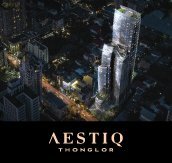 In this issue of Ultimate E-Magazine by Real Asset (for the third quarter of 2017) we will give you all the latest construction progress information on LAVIQ Sukhumvit 57. 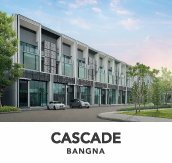 We are currently working on the structure of the first floor and we will close our sales office in order to return the area to the construction department in November 2017. We held the &lsquo;LAVIQ Thank You Party&rsquo; on 6th August 2017 to express gratitude to our customers in a casual and warm atmosphere and everyone enjoyed the selection of delicious food from Maison De La Truffe as well as the fun mini-concert from Atom Chonnakan. Congratulations to our The Stage TaopoonInterchange customers as the project is now officially ready to move into. 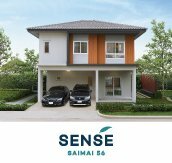 We recently held the installation ceremony for the Brahmin shrine and spirit house to bless the project and to bring good luck to the residents. In addition to the updates on the two projects, Ultimate E-Magazine by Real Asset will also present you with information and tips on topics such as investment in a condominium after retirement, home decoration techniques that help prevent allergies, kitchen decoration techniques that help you maintain good hygiene and health, tips on how to choose thebest lighting solutions to enhance your beautiful home, plus minimalist kitchen ideas for limited-space homes and we will end with some good news from Real Asset. Hello readers, and welcome again to the Ultimate E-Magazine by Real Asset (for the second quarter). The first great news for the customers of The Stage Taopoon-Interchange is that construction is nearly complete. We opened our brand new showroom at the location of the actual building for the first time at the &lsquo;Open House Party&rsquo;, which was held on Saturday 10th June. 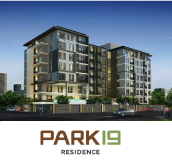 The other great news is about LAVIQ Sukhumvit 57, a project where Real Asset Development Co. has joined hands with three nationally recognized partners including Naraconsult &amp; Design Co., Syntec Construction Plc and Melcon Co. to help develop the project. Stan Pile Co. has already completed the piling stage. Welcome to the Ultimate E-Magazine by Real Asset . This is our first issue to welcome in 201Welcome to the Ultimate E-Magazine by Real Asset. This is our first issue to welcome in 2017, and we are delighted to be able to connect with you through this online channel. This will become a new center where you can conveniently follow the construction progress of our projects. 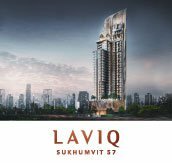 We will bring out the Ultimate E-Magazine every quarter to keep you up-to-date with the latest news and construction progress of LAVIQ Sukhumvit 57 and The Stage Taopoon-Interchange, until they are fully complete.